A marketing campaign created to highlight a wide variety of seasonal products and sales over the course of the 2017 holiday season. With such a vast selection of products Whole Foods Market needed a way to bring visual attention to products for Thanksgiving, Christmas, Hanukkah, and New Years. 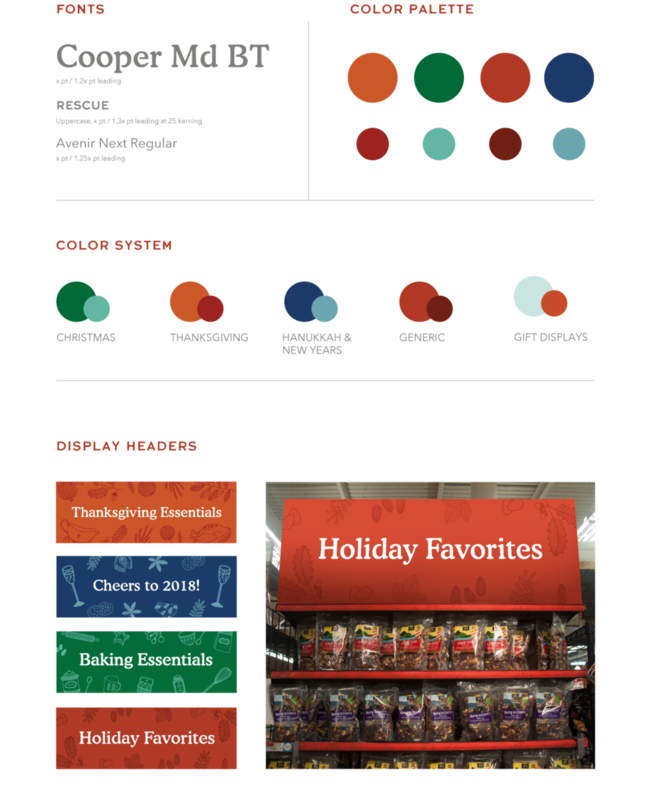 The answer was a campaign of impactful in-store signage with a color-coded design system and iconic illustrations for each holiday. I designed, printed, and installed a wide variety of signs at the West Orange, NJ store to highlight an ever-changing selection of seasonal products through November and December 2017.